Bob Neal, 46 and a Southern California native, has been involved in Motorsports and racing for 20 years. I’m currently an Asst. Plant Manger for a Steel Products Company with an extensive Planning and Logistics background. I started out riding motorcycles in the Southern California doing weekly rides in the canyons to feed my passion and have been riding all my life. In 1995 I decided to try Auto Crossing with a local car club with great success, and once I hit the racetrack my passion quickly grew for road racing. I’ve always had a passion for Motorsports but once you get that first race win, nothing else compares. In 2002, Bob Neal Racing was created and I bought my first racecar (Mazda RX7) racing with SCCA at the regional level to gain experience, claiming two regional championships and setting multiple track records. I then built a new E/P Mazda RX7 from the ground up and moved up to the National level where I won the Southern Pacific National Championship in 2006, Placed 3rd two times at the SCCA National Runoffs, set 13 new track records, claiming multiple wins and podium finishes, then progressed to Professional in 2009 with SCCA in a Mazda. 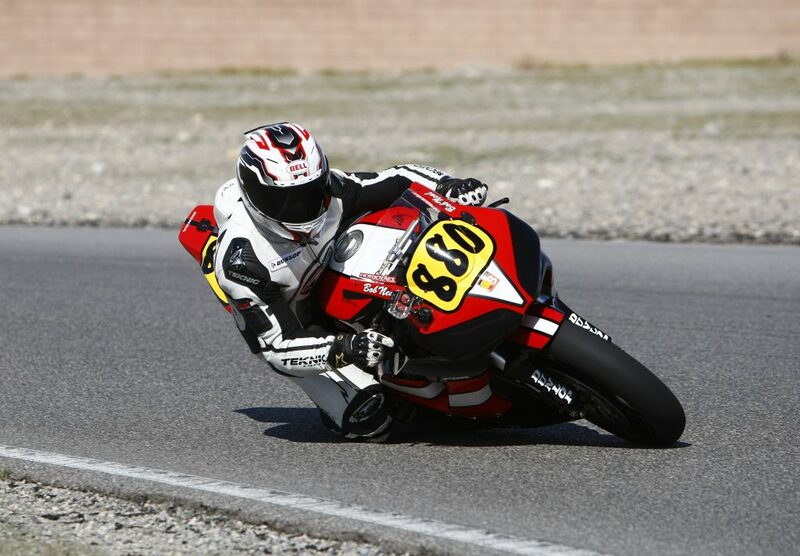 Taking that experience I decided I needed another challenge and motorcycle racing was the perfect fit. I’ve done track days at local tracks for many years, and in 2014 decided to focus on motorcycle racing and obtained my license with Moto West Grand Prix ( www.mwgp.com ), after entering MWGP’s “Run What You Brung” class in Nov. 2014 and finishing 1st at Willow Springs Raceway. After that win I decided to transform and build my 2006 CBR1000RR into a race bike to campaign in 2015. My first race of 2015 at SMMR I was on Pole, lead every lap and WON by 24.14 seconds! I will be competing in the Novice Heavyweight class with MWGP in their 8 round race schedule on West Coast with plans to move up to Expert level mid season and Pro by the end of 2015. I will be racing at tracks to include Willow Springs, Spring Mountain Motorsports Ranch, Buttonwillow Raceway, and Streets of Willow. Marketing company’s through my racing efforts is also a passion of mine and is a perfect avenue to target a different demographics group that normally would not be reached. Representing and marketing Bulletproof Energy is and extreme pleasure because it gives back to our wounded veterans. This partnership is a great opportunity, to not only bring awareness to the Bulletproof Energy Brand through my motorcycle racing effort, but to also help our troops. Become part of the Bulletproof Army Today!